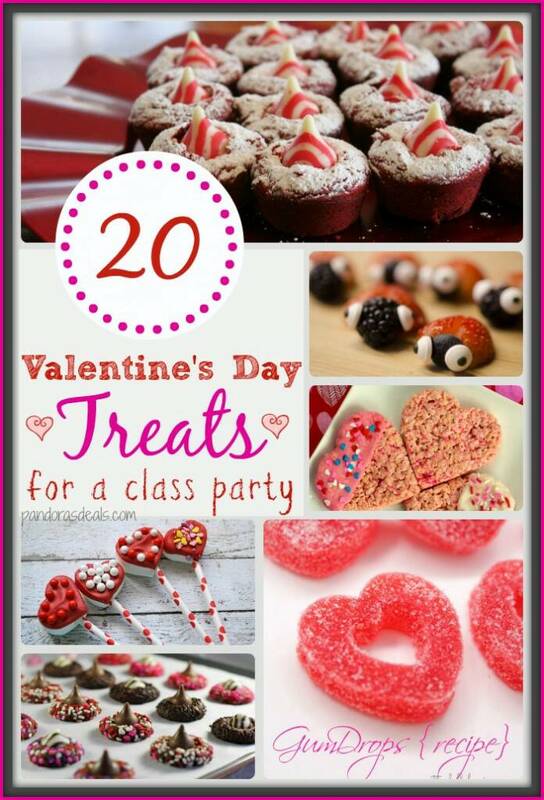 Valentine’s Day is the sweetest of all holidays and my kids are excited for their upcoming class parties. If your kids’ classes are planning a celebration and you’d like to send in a treat, I’ve done the legwork for you. Here are 20 of my favorite Valentine’s Day treats that are perfect to make ahead and take in for the special day. If you’re looking for DIY Valentine’s Day cards I have our favorite Rainbow Loom Cards with a free printable for you, and here’s a round-up of 30 ideas to get your creative juices flowing and simplify your holiday! Valentine Popcorn from Crystal & Co.
Love this list- thanks for putting it together and including my 4 ingredient cake mix cookies! Thank you so much for including my cupcakes in your round up! I’ll be sure to pin this tomorrow!